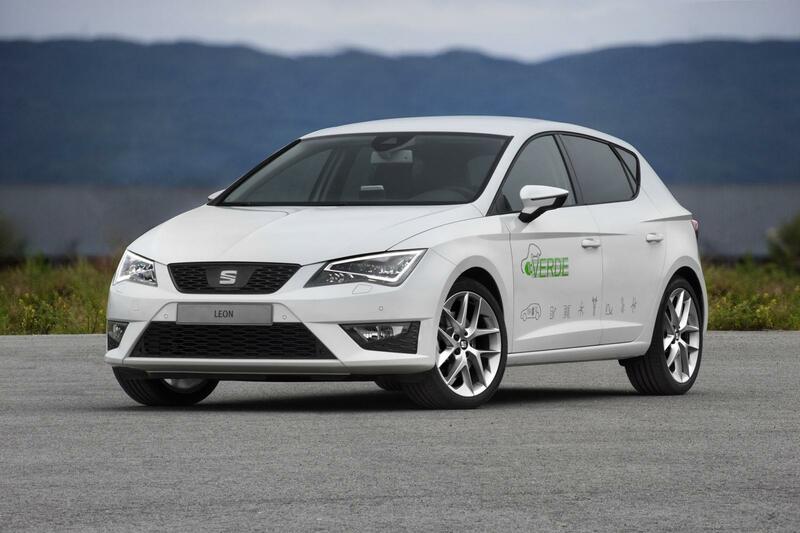 SEAT has today showcased a brand new plug-in hybrid prototype based on the new Leon, at the official closing event of the pioneering Cenit Verde research project that produced it. 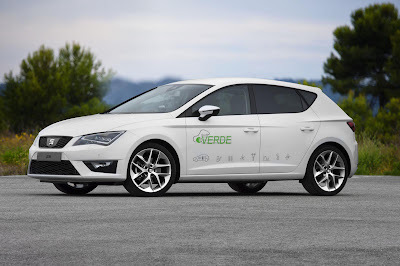 Called the SEAT Leon Verde, the prototype is the culmination of a four-year research project designed to facilitate the market introduction of an electric vehicle in Spain. Cenit Verde, which translates as Green Zenith, was headed by SEAT’s Technical Centre in Martorell with the support of Spain’s Ministry of Economy and Competitiveness. With an overall budget of €34m, it has become a benchmark project in Europe by virtue of being one of the first Public-Private Partnerships, and in recognition of the breadth of its research. Aside from the development of the Leon-based plug-in hybrid prototype car, the Cenit Verde project saw the development of an innovative smart car charging system. The system can automatically establish when the electricity grid is experiencing low demand, and can charge the car during those times only, using a lower tariff. This both saves the consumer money and reduces the strain on the energy grid; it is the collaborative nature of the Cenit Verde project that has allowed this smart management of energy demand and variable charging solution to be developed. 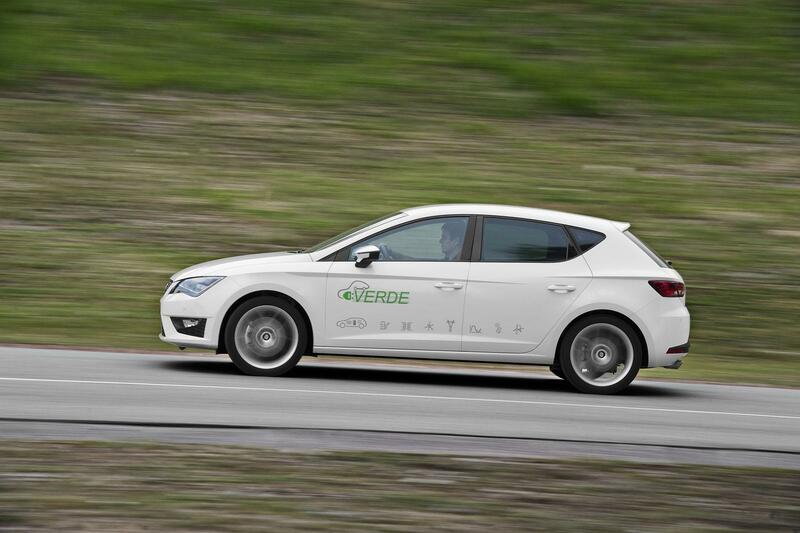 The SEAT Leon Verde is the embodiment of the Cenit Verde project. Powered by a 1.4-litre TSI petrol engine with 122 PS linked to a 102 PS electric motor, for a combined maximum output of 170 PS, its electric-only driving range on a full charge is 31 miles. With a full battery and its 40-litre petrol tank full, its total range is 507 miles. That equates to a phenomenal combined fuel consumption figure of 176.6 mpg and just 36 g/km CO2emissions. In keeping with its futuristic theme, the Leon Verde is equipped with an advanced Human-Machine Interface (HMI) integrated into a smartphone app. This enables the driver to connect to the car via a wireless network with his or her smartphone to manage functions such as energy consumption, battery status, recharge management (see below), and estimated CO2 savings in electric mode; two patents were applied for during the creation of the HMI alone. In addition, the project has enabled development of a Driving Cycle Predictor, which analyses and memorises the routines and driving style of the driver, using this information to optimise energy consumption and reduce CO2emissions. SEAT has taken out a patent for this technology, too. The holistic approach to electric vehicle development undertaken by the Cenit Verde project resulted not only in an entirely new electric vehicle, but an entirely new approach to charging infrastructure as well. In collaboration with companies including Cobra, Endesa, Iberdrola and Red Eléctrica Espana, a ground-breaking system of tariff negotiation and smart energy management has been developed, which effectively allows the car to ‘interact’ with the electricity grid – reducing pressure on the grid and, ultimately, saving the user money. The system detects when overall energy consumption is low on the grid, and incentivises, by way of lower costs, charging during these times. If the car is left plugged into a power source between 7pm and 7am, for example, the system will only charge the car at times when it detects the overall demand has dropped, using a recharge manager. The user can specify whether he or she wishes the system to work this way, paying less for energy consumed when demand is low. Alternatively, a standard quick charge function is also available. 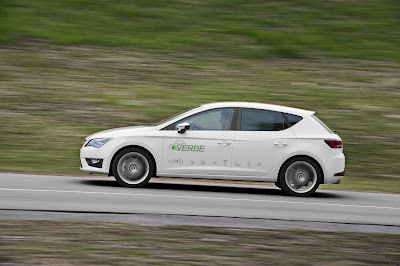 But the Leon Verde is a car that gives to the grid as well as taking from it – via a Lear 20 kW on-board charger, the Leon Verde allows for two-way connection to the grid, allowing it to feed in electricity. The SEAT Leon Verde prototype is a research and development vehicle, and the result of the collaborative Cenit Verde research project. There are no plans to put the car into series production.